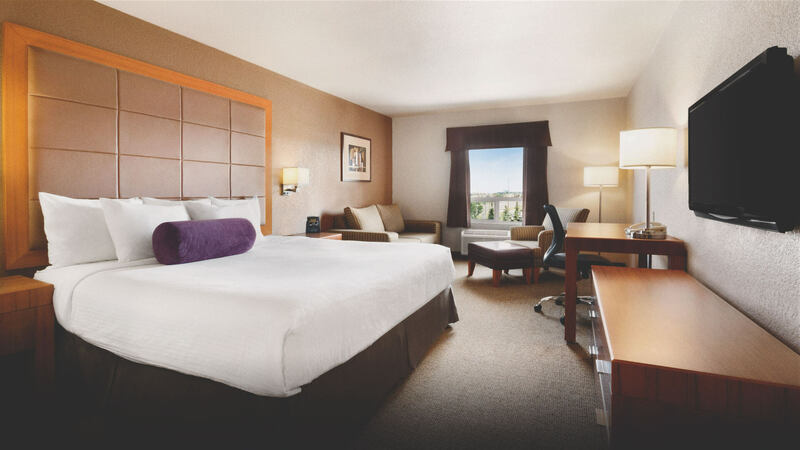 Days Inn Calgary Airport is a Chairman's Award winning Property! We have an Indoor Water slide, Pool and Hot Tub, Fitness Room, Free Daybreak Cafe Breakfast, Free Wireless High Speed Internet, Free Local Calling, Pay Laundry Facilities and Complimentary Shuttle to and from the Airport. Conveniently located 10-15 minutes from the Airport and 15 minutes from downtown. Days Inn Calgary Airport is a Chairman's Award Winning Property! We have an indoor water slide, pool, and hot tub, fitness centre, free wireless high-speed internet, free local Calling, pay laundry facilities and a complimentary shuttle to and from the Airport. Conveniently located 10-15 minutes from the Airport and 15 minutes from downtown. Get that cozy "at home" feeling at the hotel's 76 beautifully furnished rooms and suites designed to satisfy your unique travel needs. 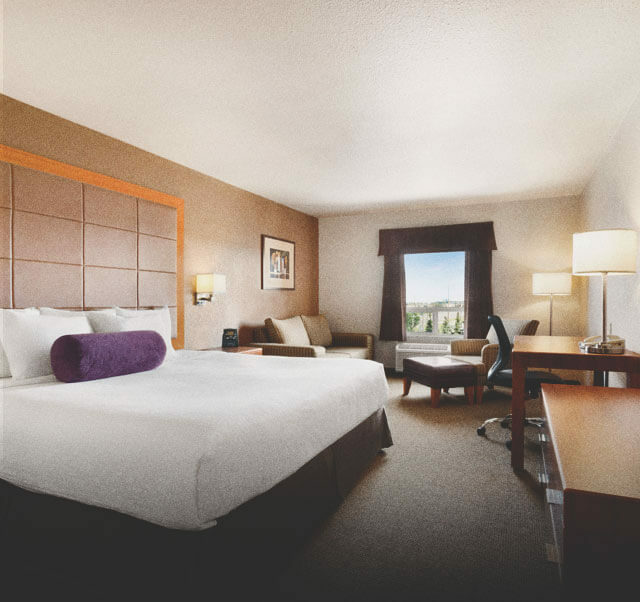 Equipped with free wi-fi, comfortable bedding, and more, you are sure to find the perfect fit here. Wake up to a great start with the hotel's complimentary DayBreak breakfast.